A stunning antique looking yad. 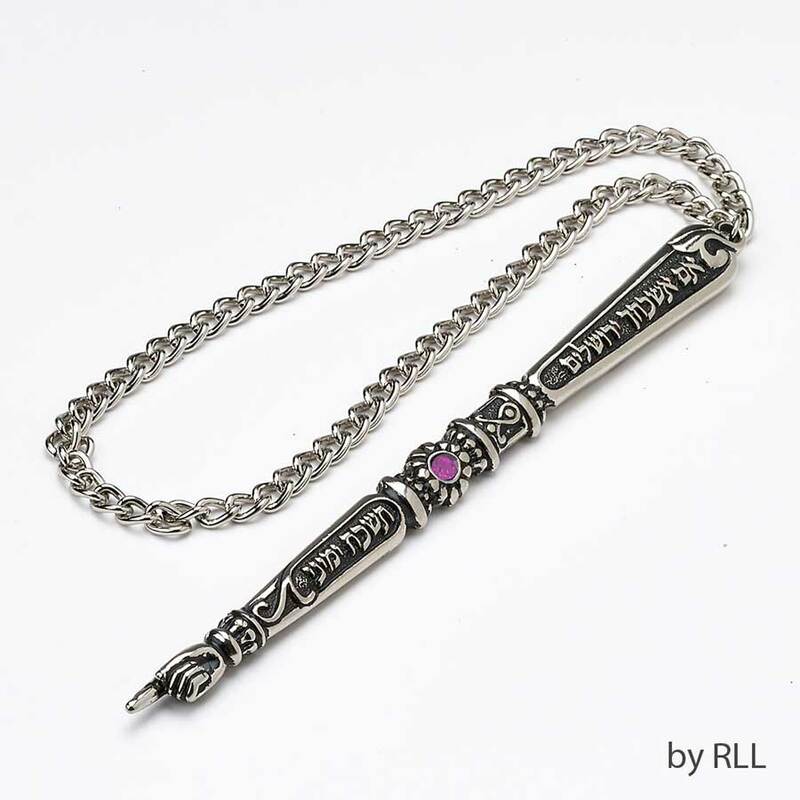 Reading from the Torah takes on a special meaning with this Yad, with the words " If I forget thee Jerusalem, my right hand shall be forgotten". It will make an impressive gift to a bar mitzvah boy. 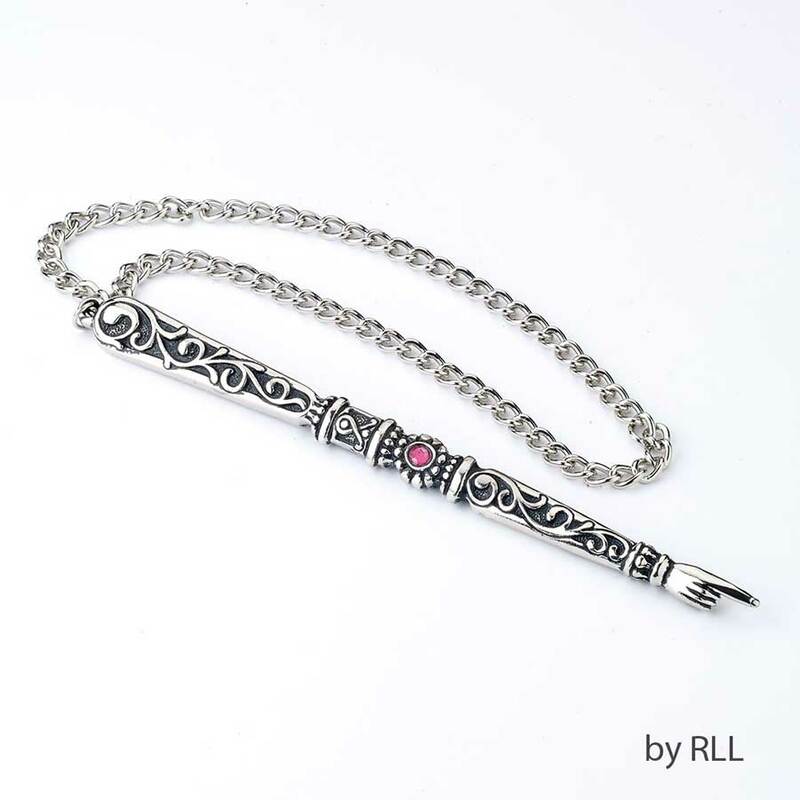 Made of alloyed metal, and enhanced with a center mounted pink stone.